Bridge Winners connects bridge players from around the world through our social network and provides a venue to learn, share, and talk about the game we love. Bridge Winners also offers daily articles, tournament reports, an online convention card editor, and player profiles. For many of us, being a bridge player is more than just a casual hobby, it envelops our lives. You don't need to be obsessed with bridge to enjoy Bridge Winners, but if you are we've got you covered too. We encourage our users to actively participate in the community and share their passion by joining the discussions, posting interesting bridge problems, or writing a blog. We are always interested in your ideas and feedback, so please don't hesitate to let us know if there is something missing in your online bridge life. If you have a problem or question you can contact us at: support@bridgewinners.com. Gavin is a full-time professional bridge player and instructor. He was born and raised in Toronto, Canada and now resides in Palm Beach Gardens, Florida with his wife Jenny, daughter Dani and two sons, Brandon and Ryan. Gavin is an ACBL Grand Life Master and has won 6 NABC events, the CNTCs, and the USBC in 2013 and 2015. Gavin films videos for Bridge Winners including the popular Road to Victory series, and writes articles such as The Bidding Box, Manipulating the Defense, and Disturbing Precision. Jason is an immigration attorney and part-time professional bridge player. Jason grew up in Champaign, Illinois and now resides in San Diego, California with his wife Erin, daughter Abigail, and golden retriever Casey. 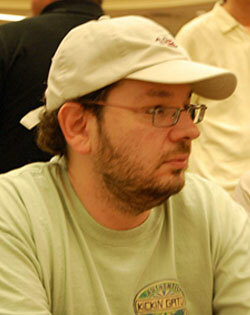 Jason is a World Junior Champion, won the 2008 NABC Swiss, finished 2nd in the World University Championships, and has several other top-10 finishes. When not playing bridge he loves to surf and travel. 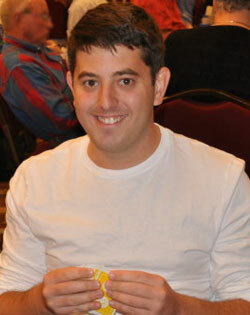 Jason writes and edits for Bridge Winners and provides bridge tournament news coverage. His articles include: Instant Replay, 2 Clubs or 1 Spade, BART, and Setting the Tone. Steve is a professional bridge and poker player. He grew up in Accord, New York and now resides in Andes, New York, with his wife Liz, dog Luther, and Archie the cat. Steve has 17 NABC victories, is the 2010 World Open Pairs Champion, holds the record for the youngest-ever winner of an NABC event, and has more Cavendish wins (7 pair wins and 4 team wins) than anyone else. Steve writes for Bridge Winners and his articles include the popular series Under Further Review, as well as: 1m-1M: Now What?, I love Flannery, and the infamous Levin-Weinstein Postmortem. Eugene is an amateur bridge player currently working at a mobile gaming startup in Silicon Valley. 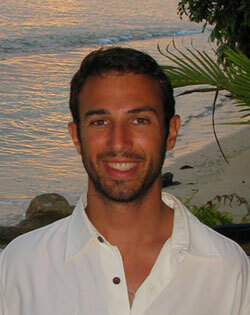 Eugene grew up in San Diego, California and now resides in Sunnyvale, California with his wife, Helen. He is also a former Jeopardy! contestant and the co-founder of a popular Bay Area board-gaming group. Eugene is a two-time winner of the North American Collegiate Championships. 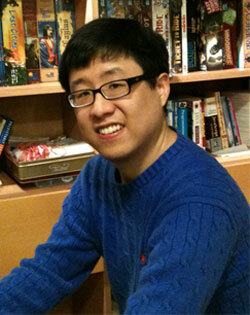 Eugene writes and edits for Bridge Winners, provides tournament coverage, and is one of the software developers. Some of Eugene's articles include: System Win, Wedding Pickup, Second Hand Kill, and Searching for Bobby Hamman. Greg is an Academy Award winning software developer. He lives in Charlottesville, Virginia where he works for Fan Duel and plays bridge professionally. He also has a young daughter who is already executing squeezes. 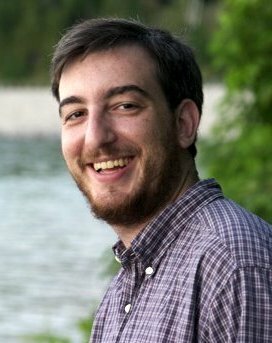 Previously, he worked at Google, and as a professor of Computer Science at the University of Virginia, where he conducted research in both high-performance and physically-based computer graphics, as well as computer architecture and visualization. Greg is one of the software developers for Bridge Winners. Polly lives in Los Altos, California. She is an avid bridge player, having come to the game late in life. 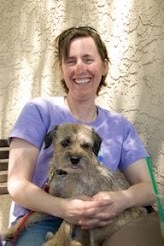 Polly currently works at Google, and previously spent over a decade working on scholarly publishing websites with both Atypon Systems and Stanford Unversity, and served as a director of engineering for several high-tech companies. Polly writes and edits for Bridge Winners, and focuses on product direction, process/project management, and whatever else needs doing that doesn’t involve writing code. Adam lives in New York City, where he teaches and writes about bridge and writes plays and musicals.. He is a founder of New England Youth Bridge and coordinates New York's youth bridge efforts. Adam writes a monthly column for the ACBL Bridge Bulletin and has written and edited several books for Bridge Winners Press. Adam is Bridge Winner's Director of Education and the publiherp of Bridge Winners Press. His articles for Bridge Winners include 1m-2m Now What?, Gatlinburg. Why?, and Bridge Winners' investigation of the abandonment of ACBLscore+.